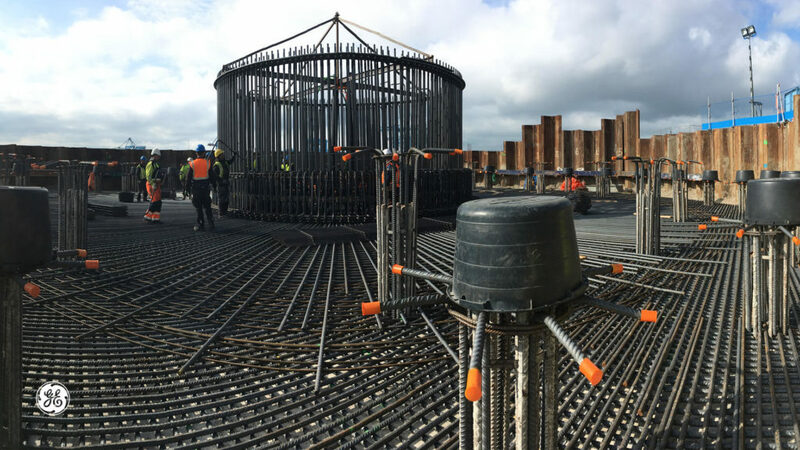 Preparing the site that will host GE’s Haliade-X 12 MW, the most powerful offshore wind turbine in the world, to be installed in Maasvlakte-Rotterdam, Netherlands, in partnership with FutureWind. Haliade-X 12 MW is currently being assembled at GE’s factory in Saint-Nazaire, France, while its three LM Wind Power-designed 107-metre blades are being manufactured in Cherbourg, France, and tower sections produced in Seville, Spain. All components will be shipped to Rotterdam, where pre-assembly work and installation will take place. 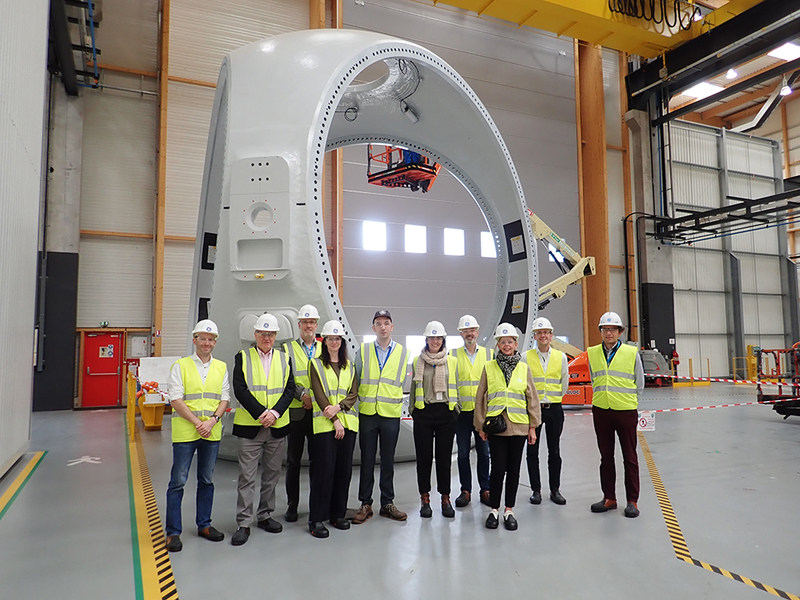 Last week the projectteam Pondera Consult/Sif visited the GE plant in Nantes to see the production of this enormous wind turbine.